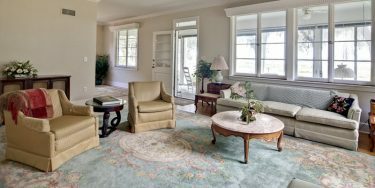 Home » Blog » Oriental Rugs » Hand-Knotted vs. Hand-Woven Rug: What is the Difference? If you are just beginning to shop around for handmade rugs, you may find you are a bit confused by the issue of “hand-knotted” and “hand-woven”. After all, they sound a lot alike, but there are actually significant differences between them. 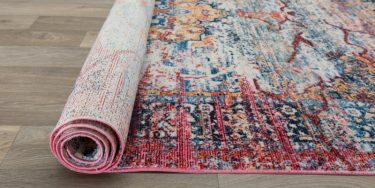 In this article, we are going to look at the differences and help you tell the difference when looking at hand-woven and hand-knotted rugs for your home. 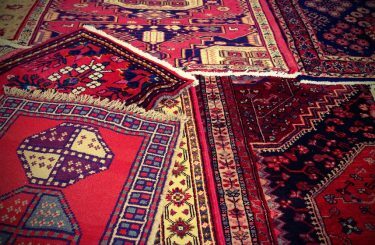 Before we look into the finer details and tips for determining which is which, first understand that any sort of handmade rug is valuable; far more valuable than machine-made items. Hand-knotted and hand-woven rugs are both, technically made with weaving techniques, but they are the only rugs that can authentically claim to be hand-made (even hand-tufted rugs are machine made!). Any hand-knotted or hand-woven rug is going to be made while on a loom. This has threads running vertically, which are called the warp threads (and which are used to make the fringes at either end). Carpets also have “weft” threads. These are run on the loom before any knots are added when a hand-knotted rug is produced. 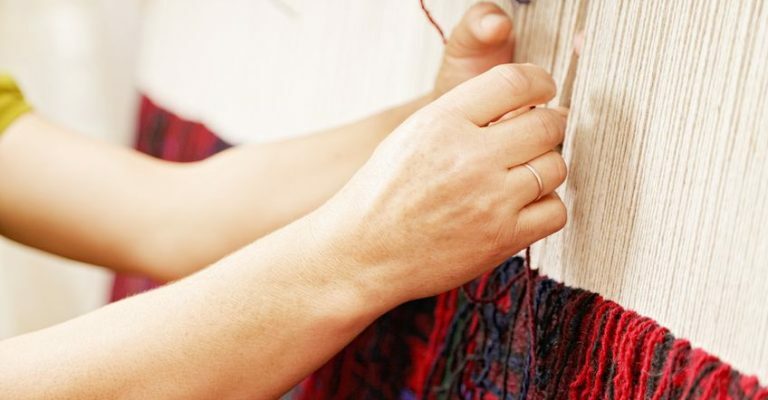 On the other hand, the weaving of the hand-woven rug is what creates the weft for that rug. That is the basic differentiation between the two methods, but there is a lot more to know about them. As their name implies, hand-knotted rugs are made of thousands or millions of tight and tiny knots. They are usually more expensive than hand-woven rugs because of the labor intensity required to make them. 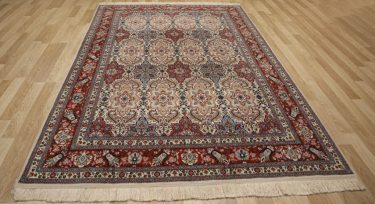 Flip over an authentic hand-knotted rug and you will see the pattern from the rug’s face in much clearer definition and it will be made of those many hand-tied knots. The amount of control that this gives the rug maker also enables the pattern to be very detailed and sharply drawn. As one expert says of hand-knotted rugs, they are “made of better wool (its length must allow for pile and excess to clip off) and require more skilled artisans.” They are shaved once complete and have a more detailed appearance than other rug styles. As their name implies, they are made on a loom and woven rather than being formed by millions of tiny knots. They are often easily reversible because of the method used to make them, with the threads running left to right being the weft. Does it mean they are less valuable overall? No, because many hand-woven rugs involve a special sort of spinning for the woolens or threads used, and many also use hand dyed threads that involve a great deal of time and care. Kilim rugs, for example, are highly prized by rug enthusiasts and often of significant value. And if you are eager to invest in a rug that is durable and able to withstand everyday use, it is likely that hand-woven rugs are for you. Though hand-knotted rugs are often hundreds of years old and used in all kinds of households, they should be used with care as they are handmade masterpieces and amazing examples of premium skill. Get either kind professionally cleaned and you’ll enjoy them for years to come.